African Mango is one of the most popular herbal weight loss supplement in the U.S. market right now. But what is an African Mango? No, it’s not a mango grown in Africa. It’s actually the nickname of a fruit grown on Irvingia Gabonensis (IG) trees in the rain forests of Guinea. The tree is also called dika, wild mango or bush mango. The fruit itself is used as food in Cameroon and Nigeria because of its nutritional value because it is high in vitamin C. The bark, seeds, leaves, and roots have been used in alternative medicine for years. The bark is mixed with palm oil to help with dysentery, diarrhea, and colic. It is also an ingredient used for treating skin aliments. The leaves are used to help reduce fever. In recent years, studies have shown that African Mango supplements can help with weight loss, lower cholesterol, and improve control of diabetes. African Mango seeds are filled with iron, B vitamins, calcium, riboflavin, and healthy fatty acids. They consist of 15 percent carbohydrates, 67 percent fat and 8.5 percent protein. When the seeds are turned into extract, they can also be used as a supplement. Along with weight loss, African Mango can also help reduce cholesterol levels. Both studies completed by BioMed Central examined the effect on cholesterol and found that African Mango was successful in lowering the cholesterol levels of obese and overweight participants. Participants in the 2008 study had lower cholesterol levels of more than 44 percent. The participants in the placebo groups showed no significant signs of lowered cholesterol. 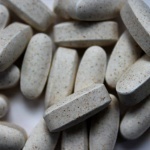 Many researchers believe the high fiber found in the supplement may be the cause of this. Many studies gave participants dosage 30 minutes before a meal with a glass of warm water. Although these studies showed positive results when using African Mango supplements, they are all relatively small studies. Larger and longer-term studies need to done to determine the exact health benefits and side effects of the supplement. 1 Ngondi JL, Oben JE, Minka SR. The effect of Irvingia gabonensis seeds on body weight and blood lipids of obese subjects in Cameroon. Published May 2005. Accessed June 2016. 2 Oben JE, Ngondi JL, Makamto Sobgui CS. The use of a Cissus quadrangularis/Irvingia gabonensis combination in the management of weight loss: a double-blind placebo-controlled study. Published March 2008. Accessed June 2016. 3 Ngondi JL, Etoundi BC, Nyangono CB, Mbofung CMF, Oben JE. IGOB131, a novel seed extract of the West African plant Irvingia gabonensis, significantly reduces body weight and improves metabolic parameters in overweight humans in a randomized double-blind placebo controlled investigation. Published January 2009. Accessed June 2016. 4 Lee S. What are the Benefits of African Mango. Last updated July 2015. Accessed June 2016.